The Alliance Gallery featured member artist, Rebecca Butler, was born and raised in the Quincy/Hannibal area. She received her BFA from Quincy University, where she now teaches Ceramics. Rebecca works in many media, with concentrations in silk painting and clay. She loves travel and finds her art highly influenced by family vacations—and history. Rebecca's clay pieces are hand built, using texture as part of the design. "I love the lumps and bumps that a lot of potters see as imperfections. I use them to my advantage and change the design to accommodate nature." Drawing on her attraction to history, Rebecca finds herself incorporating an ancient Egyptian decorating technique. Using a clay slip, she draws Henna designs onto her pottery. Her finished works combine function and beauty. The piece itself seems to dictate the color, the delicacy or boldness. 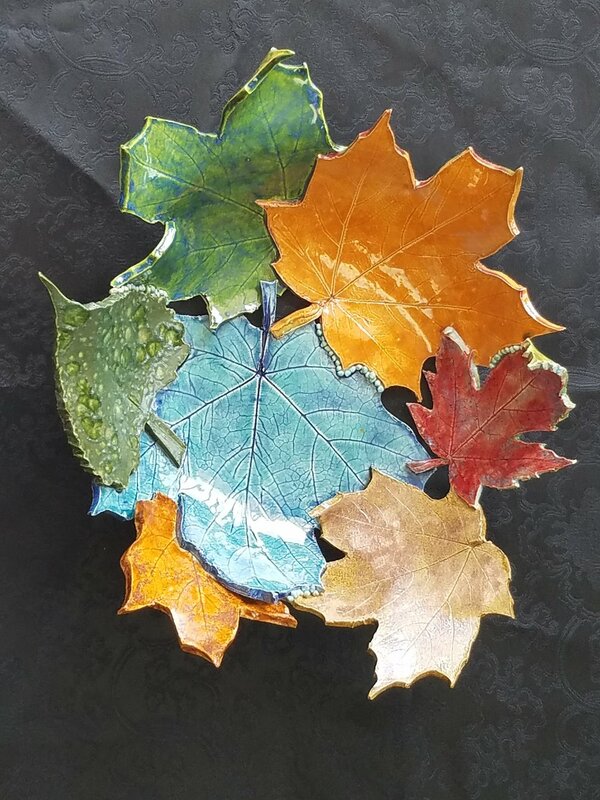 From soft blue swirls to bold reds and oranges, from rectangular tray to irregular-edged platter, the uniqueness of each piece invites the viewer into a world of an artist who truly loves and cherishes the feel of clay beneath her fingers. In May of 2016, Rebecca opened The Budding Artist in Quincy, Illinois. This combination art gallery and art school offers opportunities for artists of all ages and expertise to create in clay, painting, and other mediums. An opening reception will be held Saturday, September 9th from 5:00 until 8:00. A piece of Rebecca Butler’s pottery will be given away in a free drawing held at 6:00. This reception coincides with Hannibal’s Second Saturday Gallery Night.